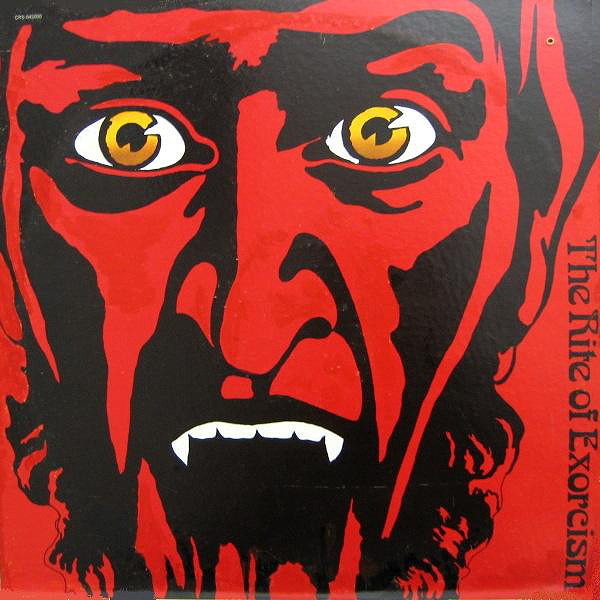 Released in 1974, The Rite of Exorcism was an album performed by three Catholic priests calling themselves the Contemporary Mission. It included a rock-and-roll version of "Dies Irae (Day of Wrath)." The trio described the album as an attempt to communicate with young people in their own media. So, it was part of the ongoing effort to help Catholicism shed its stuffy image. Except, in this case there's some debate over whether the three really were bonafide Catholic priests. By 1980 they were under investigation for using tax-exempt religious status to run a sketchy mail-order business that sold snake-oil of various kinds such as "a bath oil described as weight-reducing... and a 'Living Cross' that, when coupled with a special prayer, was guaranteed to change your life 'in just five days.'" More info: WFMU (which has the whole album available as a free download), discogs.com, law.justia.com. This certainly qualifies as deeply weird!